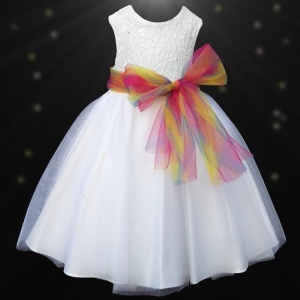 Beautiful girls white diamante & organza dress with a multi-coloured rainbow sash, suitable for a baby through to junior, perfect wedding wear for a bridesmaid / flower girl or for that special occasion. Dress: White sleeveless bodice with an embroidered floral pattern and sparkly diamantes. 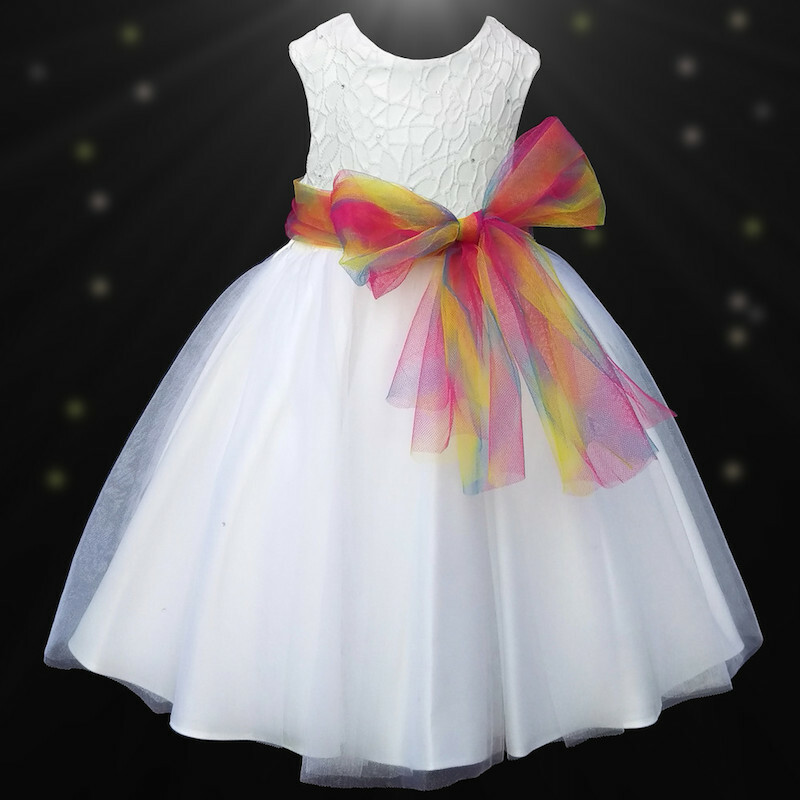 A rainbow net sash is to the waist made up with a multitude of colours, with a discreet zip fastening. The sash is detachable so bow can be placed at the front, back or to the side. The skirt of the dress is just lovely ... top layer is of a sheer organza with little sparkly diamantes on the front, satin underlining that has a tulle underlay to create fullness.